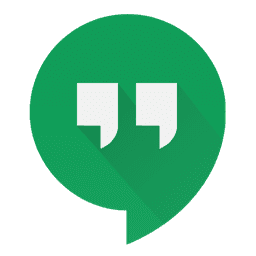 A couple weeks back, Google announced that the Hangouts Extension was going to be updated to have the same look and feel as the Chrome OS and Android apps. They also gave us a firm date of arrival: August 31st. That day came and went and like many of you, I was left waiting around for the update. After twiddling my thumbs for a bit, Gabriel shot me a message in Hangouts letting me know he found a direct update route. And it was silly just how simple it was. For some odd reason, the extension is not updating for many users. Though Google had said we all would have the option to opt-in to the new design on the 31st of August, most people never saw the option or the update. Luckily Gabriel came across a post that included the instructions to remove and re-add the extension. So, we wanted to provide a quick little guide on how to get the new, updated Hangouts Extension up and running on your machine, be it Windows, Mac, or Chromebook. First, right click the Hangouts icon in your omnibar and select ‘Remove from Chrome’. If you’ve hidden the extension icon, go to your 3-dot menu > More tools > Extensions and click the trashcan next to Hangouts. Open the Web Store, search Hangouts, and under Extensions click ‘Add to Chrome’. That’s it! All that waiting for nothing! You now have the new Hangouts Extension and it behaves exactly like the Chrome and Android apps. Free floating windows, pop-out conversations, and everything else the Chrome app did so much better than the old extension. This is a simple fix and a simple process, but there are interesting ramifications here. As Google is ending Chrome Apps, extensions are still alive and well. With Hangouts, Google is showing us what extensions can be capable of and why, between progressive web apps and extensions, Windows and Mac users can still have access to all the Chrome apps they’ve known and loved. It will just take a little work from the developers.